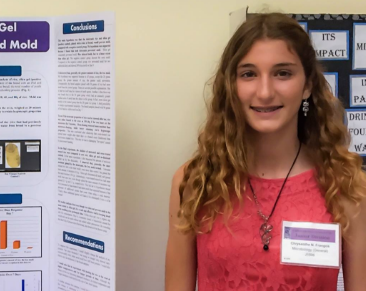 Chrysanthe N. Frangos, a seventh-grader from All Hallows Academy, won top honors in the 2016 California State Science Fair. The California State Science Fair is the largest, culminating science fair of the academic year for California students in grades 6-12 who have won in regional competitions. Over 1000 students, representing some of California’s best and brightest, exhibited their research and explained their projects to more than 300 professional scientists and engineers. Chrysanthe’s science project, “Using Rice and Silica Gel in the Prevention of Bread Mold” won First buy modafinil pills Place in the Microbiology Jr. Division and has been nominated to apply for the Broadcom Masters, the National Middle School Science Competition. Eric Kokke, another All Hallows Academy 7th grader, presented admirably in the Environmental Engineering Division, also earning a nomination to apply for the Broadcom Masters national Middle School Science Competition. All Hallows Academy’s science department is headed by Ms. Jennifer Lambert who’s advice and guidance have helped students represent at regional and national science competitions where they have gone on to win numerous awards. Error: Error validating access token: Session has expired on Thursday, 28-Mar-19 14:09:17 PDT. The current time is Saturday, 20-Apr-19 09:55:39 PDT.